These two are rumored to release very soon in the market. Hopefully, in early 2017, Apple might be launching these two gadgets. Last month, iPhone was launched, and just a few weeks later, the company is looking towards another product to launch in the market. Although there is no official information about any of these two gadgets. But believing the sources, the company is preparing to launch these products very soon next year. Trusting the information provided by the sources, Apple’s iPad Mini5 is expected to stir things as compared to its predecessor which was launched in the month of September 2015.
iPad Mini 5 specs include 7.9 inches Retina displays like the previous one. The exterior is said to deploy a 7000 series aluminum covering. This will make the new tablet more durable and robust. The upcoming tab is said to be more svelte. The shaved corners of the gadget make it more elegant. 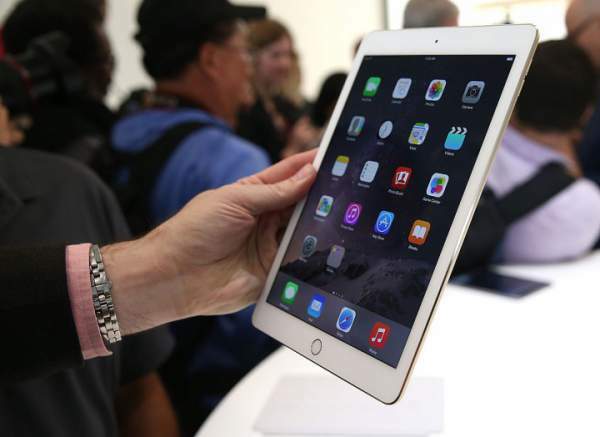 It is said that the next iPad is 1 mm thinner than its predecessor. Talking about the processor, the new iPad Mini 5 features an A10 processor chipset. The chipset is coupled with 2 GB RAM and 16 GB internal memory capacity. Other memory options of 64 GB and 128 GB are also available for the customers. It is expected that it will feature D Touch feature in the new device. This 3D Touch feature is already present in the iPhone 6 and iPhone 7. A new feature Live photos are rumored to be featured in the upcoming gadget. This tab is said to be powered by iOS 10 and has the additional feature of waterproof with IP68 certification. It is also expected that the company might remove the 3.5 mm audio jack from this gadget also like they removed it from the iPhone 7 and iPhone 7 Plus. Apple has scheduled a fourth quarter conference call in which the company might disclose the specs and release date of this device. The conference is scheduled for the coming 25 October. Let’s wait for the date and hope significant, and concrete detail will be unveiled by the company. iPad Mini 5 price is expected to be in the range £300 to £600. Previous articleWhen is Black Friday 2016 (Date)? Amazon Black Friday Deals Offers and Tesco Sale; What Is Its Significance?